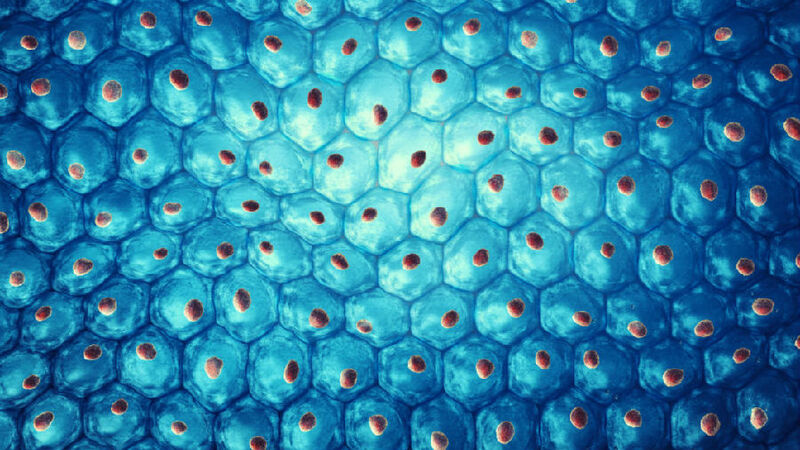 It starts with a single cell. The first cell splits to become two and the two become four and so on. After just forty-seven doublings, you have ten thousand trillion (10,000,000,000,000,000) cells in your body and are ready to spring forth as a human being. Actually, quite a lot of cells are lost in the process of development, so the number you emerge with is really just a guess. Depending on which source you consult the number can vary by several orders of magnitude. The figure of ten thousand trillion (or quadrillion) is from Margulis and Sagan, 1986. And every one of those cells knows exactly what to do to preserve and nurture you from the moment of conception to your last breath. You have no secrets from your cells. They know far more about you than you do. Each one carries a copy of the complete genetic code—the instruction manual for your body—so it knows not only how to do its job but every other job in the body. Never in your life will you have to remind a cell to keep an eye on its adenosine triphosphate levels or to find a place for the extra squirt of folic acid that's just unexpectedly turned up. It will do that for you, and millions more things besides. Every cell in nature is a thing of wonder. Even the simplest are far beyond the limits of human ingenuity. To build the most basic yeast cell, for example, you would have to miniaturize about the same number of components as are found in a Boeing 777 jetliner and fit them into a sphere just five microns across; then somehow you would have to persuade that sphere to reproduce.